Unless you’ve been out of touch with everyone around you lately, you’ve heard everyone talking about the flu. It seems to be taking the country by storm and affecting the young and old alike. Some are reporting this season’s flu as pandemic in proportion, but that in fact is incorrect. The Center for Disease Control and Prevention (CDC) reported in the Weekly U.S. Influenza Surveillance Report that the proportion of deaths attributed to pneumonia and influenza was above the epidemic threshold. What’s the difference between pandemic and epidemic? So, how can you protect your child? Get yourself and your child vaccinated with the flu vaccine. Anyone over the age of 6 months is recommended to get the flu vaccine. Getting vaccinated each year provides the best protection against influenza throughout flu season. Teach your children to wash their hands often with soap and water or an alcohol-based hand rub. You can set a good example by doing this yourself. Teach your children not to share personal items like drinks, food or unwashed utensils, and to cover their coughs and sneezes with tissues. Covering up their coughs or sneezes using the elbow, arm or sleeve instead of the hand when a tissue is unavailable. Know the signs and symptoms of the flu. Symptoms of the flu include fever (100 degrees Fahrenheit, 37.8 degrees Celsius or greater), cough, sore throat, a runny or stuffy nose, body aches, headache, and feeling very tired. Some people may also vomit or have diarrhea. Keep sick children at home for at least 24 hours after they no longer have fever or do not have signs of fever, without using fever-reducing drugs. 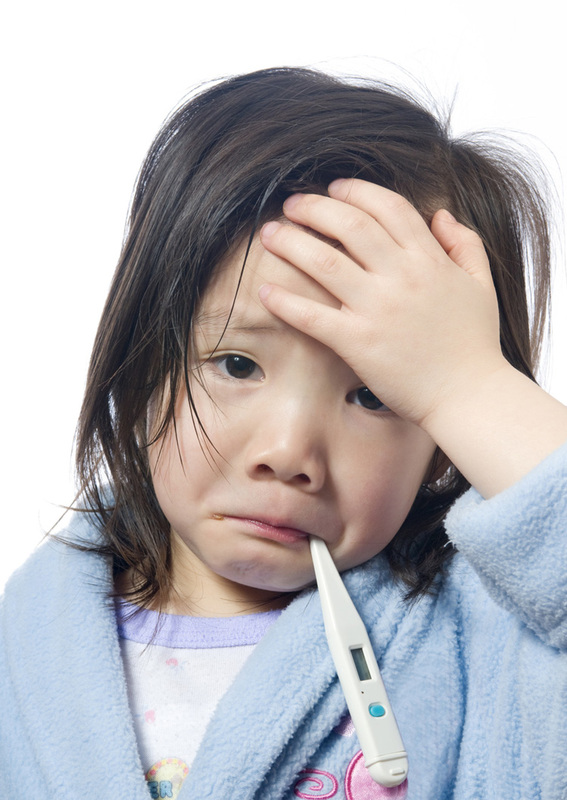 Keeping children with a fever at home will reduce the number of people who may get infected. For more information on preparing for flu, check out flu.gov.